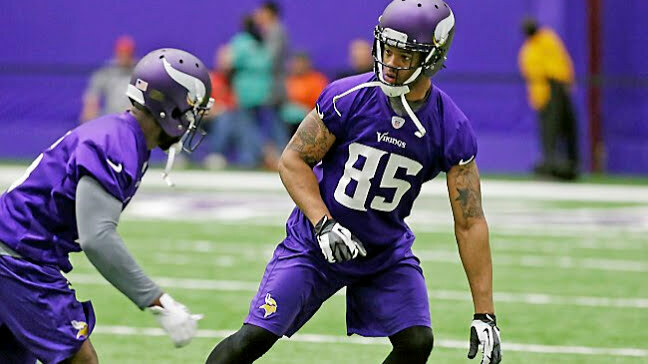 On Aug. 4, 2012, Greg Childs leapt to catch a pass during a Minnesota Vikings scrimmage. The ball was thrown behind him, forcing an awkward landing that tore both of his patellar tendons. It was an “extremely rare” injury that forever changed Childs’ career path. Instead of playing his rookie season as a wide receiver in Minneapolis, the former Arkansas star was forced to sit out and recover. And recover. And recover. Finally, the Vikings released him in 2014, and he’s been working his way back toward the NFL since. Over the past few weeks, Childs has been practicing and playing in the Spring League, a second-year organization that gives pro hopefuls a chance to get in front of scouts. Thus far, Childs has been happy with the results. You might have heard of the Spring League recently thanks to participation from Heisman Trophy winner Johnny Manziel. He and Childs are teammates, and Childs said the pair like to get meals together and reminisce about the Arkansas-Texas A&M rivalry.